Chinese Poker may be a little different from what you would usually expect from a game that has “poker” in its name. First of all, it does not utilise chips as there is no money or betting. Though of course, it is always possible to bet on whether or not a particular player will win. In this how to play poker article we will go over the details of how to play Chinese Poker as well as general Chinese Poker tips to help you improve. The first thing to bear in mind for those that are familiar with other forms of poker is that Chinese Poker uses the same hands for scoring. It is a game for up to four players and at the start of the game, the entire card deck is dealt out so that each player has a hand of 13 cards. If there are three players hands are still dealt for four and then the fourth hand is discarded and is not used. In a two player game, each player receives two hands, one for the current round and one for the following though players can only look at the hand they are currently using. After the hands have been dealt the players should divide them into three smaller sub-hands consisting of five cards, five cards and three cards. These should be organised into poker hands and the lowest scoring hand should be the one containing only three cards. The three card hand can only consist of a high card, a pair or three of a kind. There are no straights or flushes in the three card hand. Once the players have decided how they want to organise their hands they are compared to those of the other players. Each winning hand is worth one point and in the event that all three hands win that is called a scoop and it is worth an extra three point for six total. It is traditional to only count the net gain in points, so if Player A scores one point and Player B scores two then it is simpler to say that Player B has scored one and that Player A has nothing. In three and four player games every player’s hand is compared to every other player. This can make keeping score hard to track but there is a way to simplify things. Make every player responsible for tracking their own score against every other player. Then, once the game has concluded each player would count their total points and the one with the most would be declared the winner. The next way to avoid confusion is to check each player’s score one at a time. 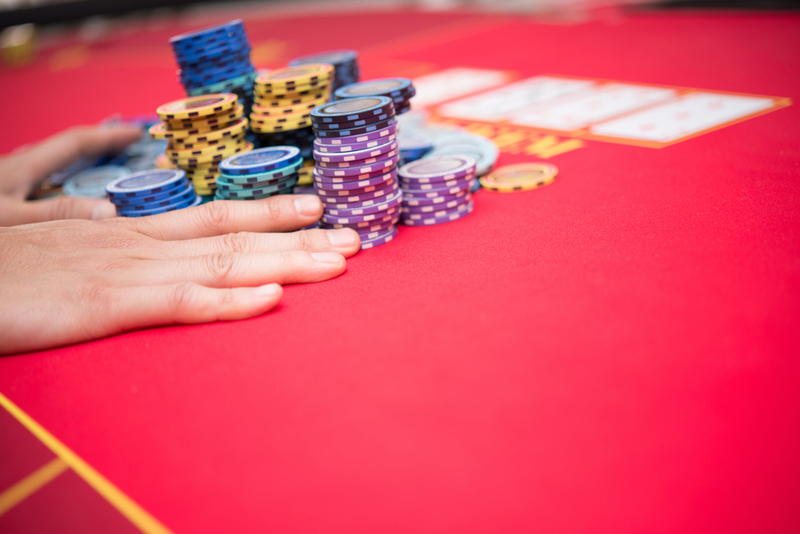 It is normal for the dealer to go first and for their hand to be compared to the player on their left and then the next one on the left and so on. After the dealer has finished the player on their left does the same going in the same order. There would be no need to check their hand against the dealer’s since that has already been done. Like every other kind of Poker, Chinese Poker comes down to learning your opponents. However, the main difference here is in the choices the other players get to make. In other forms of Poker, it is simply a matter of gathering the strongest hard possible and learning to read an opponent is a matter of trying to figure out if it is worth conceding, matching a bet or raising the stake. In Chinese Poker players get to choose where they put their hands. So if you know that a player likes to play their strongest hand in the middle it may be worth placing your weakest hand their and sacrificing the point unless you have something particularly good. Look for patterns and never let on to what you are doing as the things other people do subconsciously are the easiest to take advantage of and will only be covered once they realise it is happening.